One aspect of Peirce College that many students love is the flexibility of taking classes fully online. 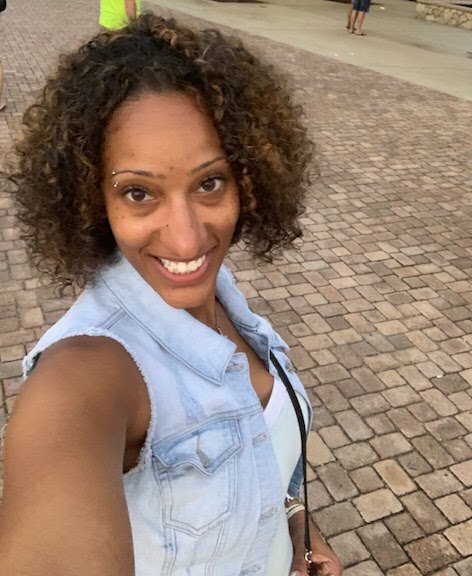 For Vanessa Wiggins, a Health Information Administration student living in Florida, this online opportunity has allowed her to complete all of her coursework without ever having to travel to Philadelphia to visit campus. It’s been a luxury that she says has allowed her to work full time the entire time from a completely different state while being enrolled as a student, which shows how Peirce College really is the college that works for working adults. Vanessa, who completed her associate degree in Health Information Sciences at Lehigh Carbon Community College, one of Peirce College’s community college partner schools, originally wanted to study something in the healthcare field because her mother had worked in the industry and enjoyed it. She knew she didn’t want to work in a clinical capacity and preferred the administrative side, so the major was a perfect fit. Once it was time for Vanessa to consider the next step and enroll in a four-year institution to earn her bachelor’s degree, she settled on an online school in California, but grew skeptical about the college’s accreditation. A quick check on the CAHIIM (Commission on Accreditation for Health Informatics and Information Management Education) website proved that she was right to be curious, as the college was not properly accredited. Peirce College however, which is CAHIIM-accredited, caught Vanessa’s eye. Once she found out that all of her credits transferred in from Lehigh Carbon County College and that she could take the entirety of her courses online, she enrolled at Peirce and started classes in January of 2017. When asked about her experience at Peirce College, Vanessa says that she appreciates how both her instructors and advisors are hardworking and attentive. “Even though I never physically met my instructors, I feel like I got to know each of them well. They respond to questions quickly, share a lot of industry knowledge and it’s clear that they truly care about their students’ progress,” explained Vanessa. Specifically, Vanessa mentioned Peirce instructor Jacqueline Penrod and how influential she was for Vanessa. “Professor Penrod was the best! She’s compassionate and caring, and it’s clear to see she wants her students to have a great career in the health information industry,” Vanessa told me. Vanessa currently holds a 3.97 GPA and expects to graduate with her bachelor’s degree in Health Information Administration in June 2019. She hopes to work at a hospital in the healthcare and compliance field once she passes her RHIT exam upon her graduation. Additionally, Vanessa will be making the journey from Florida to Philadelphia for her graduation, and we cannot wait to see her! Though she works 40 hours a week in addition to being a full-time student, Vanessa enjoys traveling (she’s an avid cruiser), working out and spending time with her friends and family. Peirce College salutes Lehigh Carbon Community College for providing Vanessa with an outstanding educational foundation, and wishes Vanessa the best of luck in all of her future endeavors.